New construction-built 2009 custom side hall colonial home situated in the center of town with train to n.Y.C., And easy access to major highways. This home offers hardwood flooring though out,recessed lighting,an open family room to a custom cherry wood cabinets with granite kitchen counter tops, a private rear patio off the kitchen which is great for entertaining.The master bedroom features tray ceiling,with a huge walk in closet plus the master bath with whirlpool tub and shower. The other 2 bedrooms are good sizes with custom baths and a laundry room to complete the second floor. 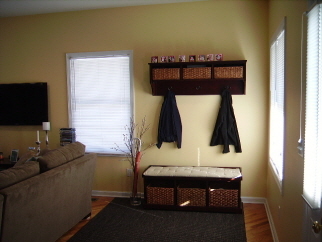 The basement has high ceilings with plenty of storage room. A must see home!